The partial skeleton of a castaway found in the 1940s on the Pacific island Nikumaroro shows some similarities to Amelia Earhart, scientists say. Though extensive searches have failed to turn up the bones, scientists have found a record of the bones’ measurements taken by a British doctor in 1941, they said. And those measurements match up with Earhart’s build, according to Richard Gillespie, executive director of The International Group for Historic Aircraft Recovery (TIGHAR), which launched a project to piece together Earhart’s disappearance in 1988. “The match does not, of course, prove that the castaway was Amelia Earhart, but it is a significant new data point that tips the scales further in that direction,” TIGHAR representatives said in a statement. 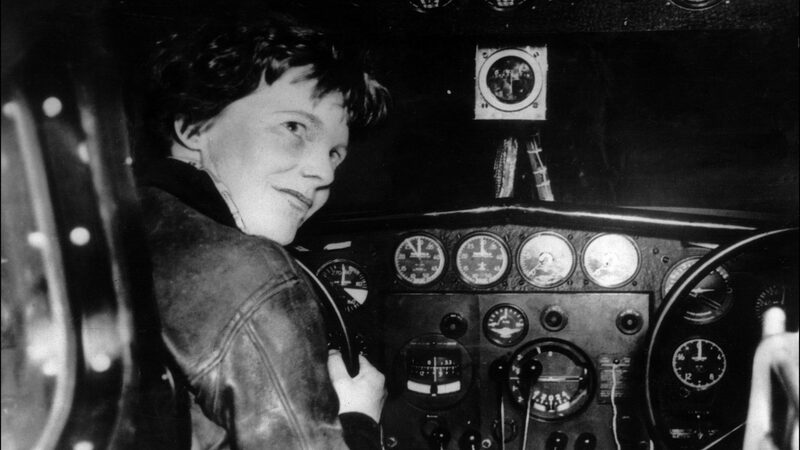 The mystery of Earhart began in 1937, when she and her navigator, Fred Noonan, set off from Oakland, California, on their westbound attempt to circumnavigate the world. After a leg of the trip, her plane crashed on takeoff on a runway at Luke Field in Honolulu, on March 20 of that year, according to the Smithsonian National Air and Space Museum. On June 1, after her airplane, the Electra, was repaired, the pair took off from Oakland, California, in an eastbound attempt to fly around the world via Miami, according to the museum. On June 29, they arrived in Papua New Guinea, only to depart again on July 2, headed for the uninhabited Howland Island, located just north of the equator in the Pacific Ocean.  A U.S. Coast Guard cutter, the Itasca, received voice transmissions from Earhart during that leg of the trip, saying, “We are on the line of position 156-137. Will repeat message. We will repeat this message on 6210 kilocycles. Wait. Listening on 6210 kilocycles. We are running north and south,” according to the museum. An astronaut image of Nikumaroro Island (once called Gardner Island) taken during the space shuttle’s STS-41-B mission. Some scientists think Amelia Earhart may have crashed on the island’s reef on her ill-fated flight to circumnavigate the globe in 1937. Their flight should have lasted about 19 hours, but the plane never arrived at Howland, leaving Earhart’s disappearance as one of history’s biggest mysteries. In the late 1990s, World War II historian Peter McQuarrie stumbled upon a file in the national archives in Kiribati titled “Discovery of Human Remains on Gardner Island,” according to a TIGHAR report. The file contained correspondences between the British administrator of Nikumaroro and British officials from 1940 and 1941. The documents note that a partial human skeleton, badly damaged by coconut crabs, had been discovered on the island in 1940, alongside the remains of birds, a turtle and a campfire. Artifacts found with the bones included the sole of a shoe thought to belong to a woman, a Benedictine liquor bottle and a box that held a nautical navigational device called a sextant. The box would have contained the same type of sextant that Noonan is said to have used as a backup navigational device, Gillespie told Live Science. The documents also included the report by Dr. D. W. Hoodless, who examined the bones in Suva, Fiji, and declared that they belonged to a European male who was about 5 feet 6 inches, which would have been much shorter than Earhart, who stood 5 feet 9 inches, according to an NPRreport from 1998. In 1998, around the time the documents were found, forensic anthropologists Karen Burns and Richard Jantz suggested that “the morphology of the recovered bones, insofar as we can tell by applying contemporary forensic methods to measurements taken at the time, appears consistent with a female of Earhart’s height and ethnic origin,” according to the TIGHAR statement. Now, a new analysis of the records and measurements using a photograph of Earhart suggest arm-bone similarities with the aviator. Jeff Glickman, a forensic examiner who founded a forensic image-processing lab called Photek, looked specifically at the ratio of the radius (lower arm bone) to the humerus (upper arm bone). The document put the castaway’s humerus at 32.4 centimeters (12.8 inches) long and the radius at 24.5 cm (9.6 inches). The resulting radius-to-humerus ratio would be 0.756 (or a so-called brachial index of 75.6). That number was larger than would be statistically expected for an average woman born in the late 19th century, according to TIGHAR. Another possibility was that the castaway was a woman who had unusually long forearms for the time period. Jantz wondered if Earhart did have similarly longer-than-average forearms. To find out, Glickman and Jantz found a bare-armed photograph of Earhart and then identified the correct points on the shoulder, elbow and wrist to give them the most accurate locations of the ends of her humerus and radius. The results suggest that Earhart’s radius-to-humerus ratio would have been 0.76 — a match with that of the castaway. But Ross said she sees several problems with the methods used to come up with the arm-bone ratio, as well as with the doctor’s notes. The lengths of the arm bones were more in line with the typical measurements for a male, Ross said. However, TIGHAR researchers said another possibility is that the bones could belong to a long-armed female like Earhart. The problem, Ross said, is that it’s tricky, at best, to figure out arm-bone measurements solely by examining a photograph, even a photo of someone bare-armed. Indeed, Ross noted that if the researcher is off by even a tiny margin when determining certain points on the body, such as the shoulder socket, the entire result can be wrong. Part of the castaway’s pubic bone was also found, according to the doctor’s notes. Measurements of that bone, including the so-called subpubic angle, also suggested male bones, according to Ross. In addition, a review of TIGHAR’s 1998 analysis also points to the bones belonging to a male. 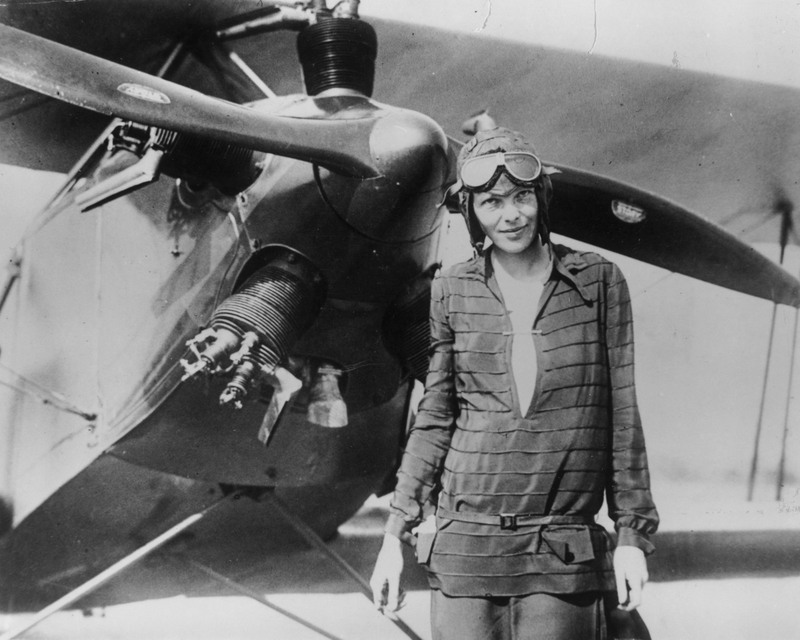 “Without access to the missing original bones, it is impossible to be definitive, but on balance, the most robust scientific analysis and conclusions are those of the original British finding indicating that the Nikumaroro bones belonged to a robust, middle-aged man, not Amelia Earhart,” Pamela Cross, an archaeologist at the University of Bradford in the U.K., and Richard Wright, an emeritus professor of anthropology at the University of Sydney, wrote in September 2015 in the Journal of Archaeological Science: Reports. Furthermore, the doctor’s notes show some inconsistencies with the time period, Ross said. In the handwritten notes, attributed to Hoodless, it says, “It could be that of a short, stocky, muscular European, or even a half‑caste, or a person of mixed European descent.” Ross mentioned that anthropologists and others didn’t refer to anyone in this language in 1941, and instead they would have said the bones belonged to a “Caucasoid, Negroid or Mongoloid,” she told Live Science. If the bones and doctor’s notes are verified, whomever the bones belonged to does seem to have survived for some time on the island, Gillespie said, based on other artifacts found on the island. “She doesn’t know where she is, and she has to survive the best she can. Looks like she did manage to survive — to catch rainwater and boil it for drinking water,” Gillespie told Live Science in an interview, adding that this castaway also probably caught little fish and birds. For now, however, the celebrity aviator’s last journey will remain a mystery.